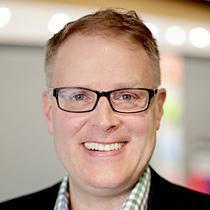 Tim Weller is Chief Executive Officer of Datto. He provides strategic leadership, sets the vision and establishes long-range goals for the company. Prior to his appointment as CEO, Tim served in various C-level positions at Datto including President, Chief Operating Officer, and Chief Financial Officer, where he ran day-to-day operations and established global go-to-market strategies. Tim brings extensive executive leadership experience with technology-based companies to Datto. Prior to joining, Tim served as the Interim CEO and CFO of London-based financial technology company Wonga. He was also CFO of two Boston-based public companies, EnerNoc, a clean energy technology company, and Akamai, where he led a team that completed one of the top-performing initial public offerings of all time. Early in his career, Tim was an equity research analyst at Donaldson, Lufkin & Jenrette. In addition to his many leadership roles, Tim has also been a software developer, video game designer, angel investor, and advisor to many technology company CEOs. Tim holds a doctorate in electrical engineering from the University of Illinois and a bachelor’s and master’s degree in electrical engineering from Michigan State University.